Here at Jaycliffe, we proudly provide outstanding dog kennels and cattery facilities for pets in and around the Swallownest area. Our team of pet care professionals have years of industry experience which guarantees a safe and friendly environment for your pets. 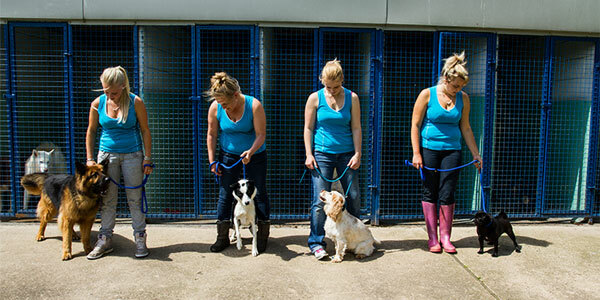 We provide long term dog boarding kennels and short term doggy day care kennels in the Swallownest area. We are trusted by a large customer base who come to us on a weekly, monthly and annual basis. We get to know the dogs we care for and provide them with exercise programmes, company, heated facilities and all the attention they want from our attentive and professional staff. We even have a range of dog foods and dog grooming facilities to make your dog feel instantly at home. Whatever the age and breed of your cat, we will cater to their individual requirements in terms of care, exercise and diet. At our cattery in Rotherham we offer heated penthouse accommodation fitted with sneeze guards and all the hygiene measures that make our facilities safe and comfortable for your cat. For total peace of mind and assurance of your cat’s well-being during an overnight stay, contact a member of the Jaycliffe cattery today. We will be happy to answer any questions you have about our services in the Swallownest and greater Rotherham area.